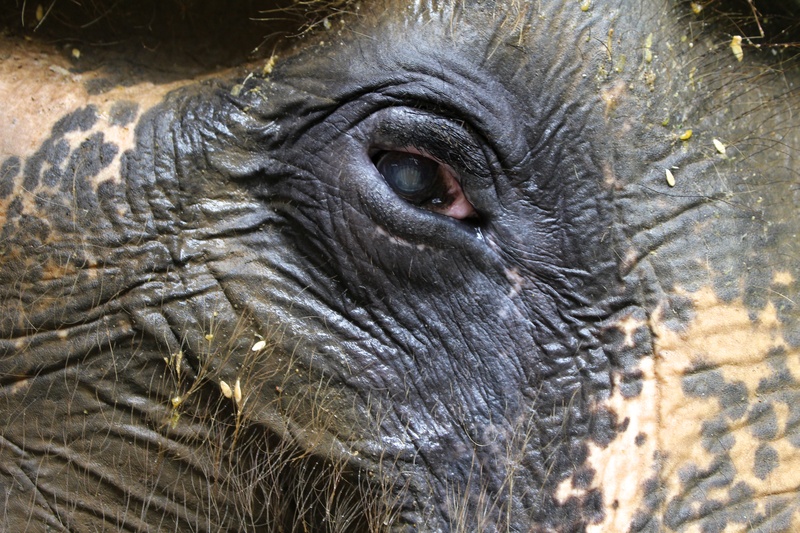 Permpoon is blind in one eye and her skin is dull, dry and punctured in multiple places. Her physical scars are proof of her hard and abusive history, but it is the invisible wounds that pain Permpoon the most. The bruises in her heart, the trauma in her mind, the agonising memories of constant beatings and gruelling days of tourists climbing on to her back and sitting in heavy benches precariously balanced on her protruding spine – these are the scars that are hidden within her and the ones that can take a life time to heal…. Permpoon’s story is not all doom and gloom. 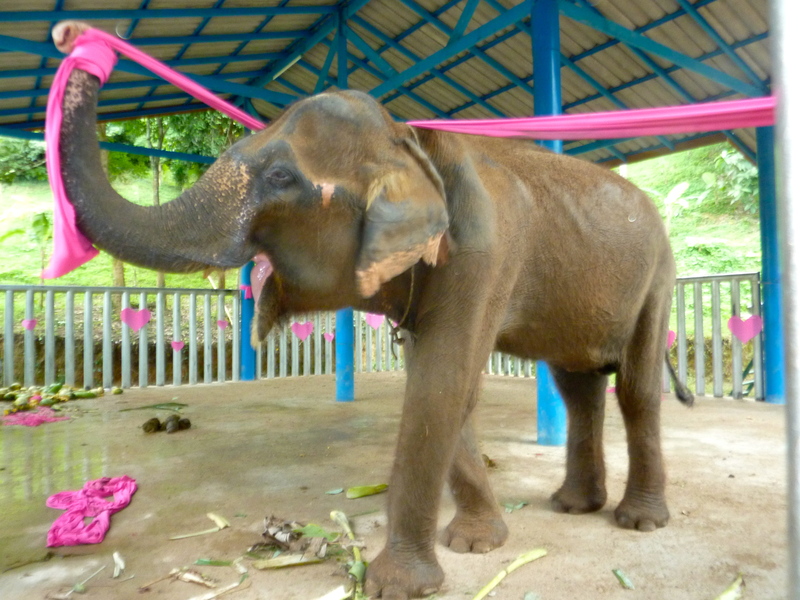 Her most recent owners found her working in a camp in the south of Thailand and took pity on her. They purchased her, with a plan to fatten her up, get her strong and then put her to work, but after several months, they realised she was just too old and too tired to ever be worked again. They wanted to ensure Permpoon was taken care of and so reached out to BLES. 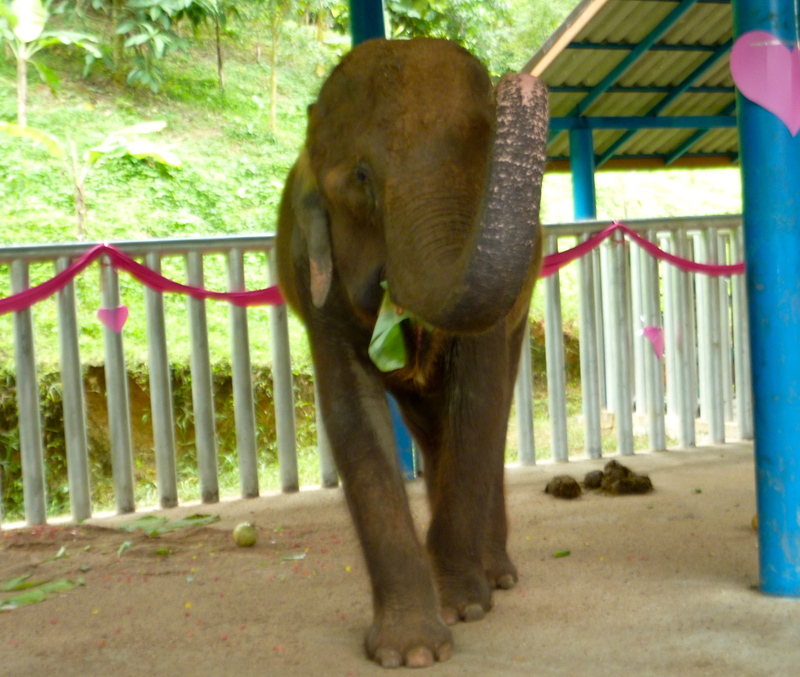 BLES has been rescuing elephants for almost ten years now and we have been able to maintain an immaculate reputation as well as positive and open relationships with almost every single person we have dealt with over the years. 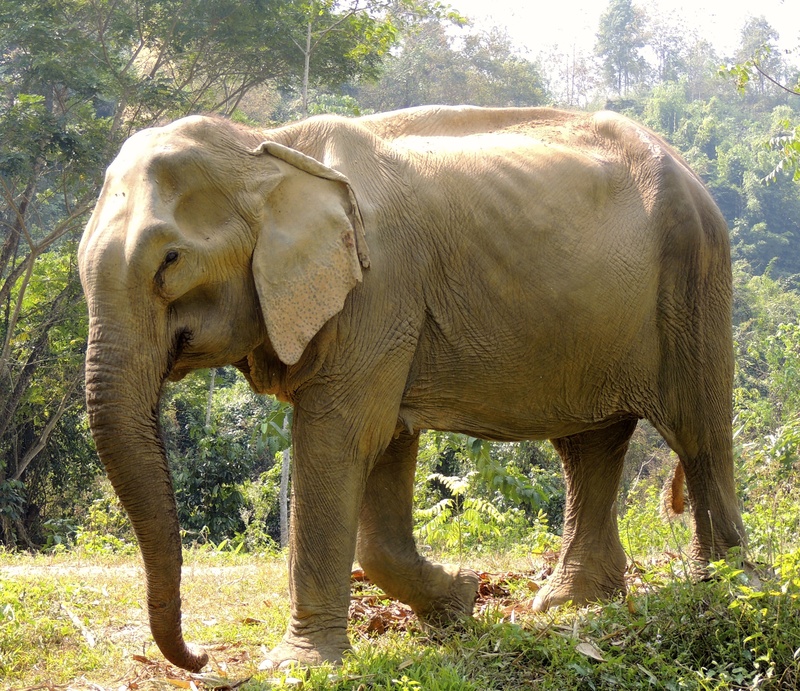 We are now getting contacted regularly by elephant owners who are elderly and want to retire not just themselves, but their elephants too. The owners turn to us, because they know they can trust us. There have been several complications in the rescue of Permpoon and many of these I was not able to publicly discuss at the time, as it could have jeopardised the entire operation. 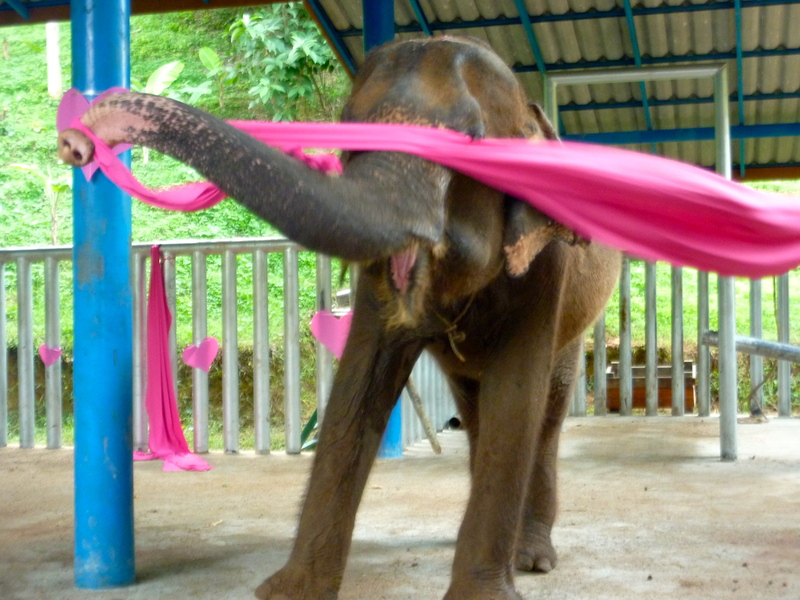 Many of you will remember Permpoon’s ‘Dress Rehearsal’ – the day we all traveled to Chiang Mai to collect her and bring her home to BLES. Despite the fact that all of Permpoon’s documentation was in order, the travel documents were complete and had already been approved a day earlier, we were told we could not travel with Permpoon. 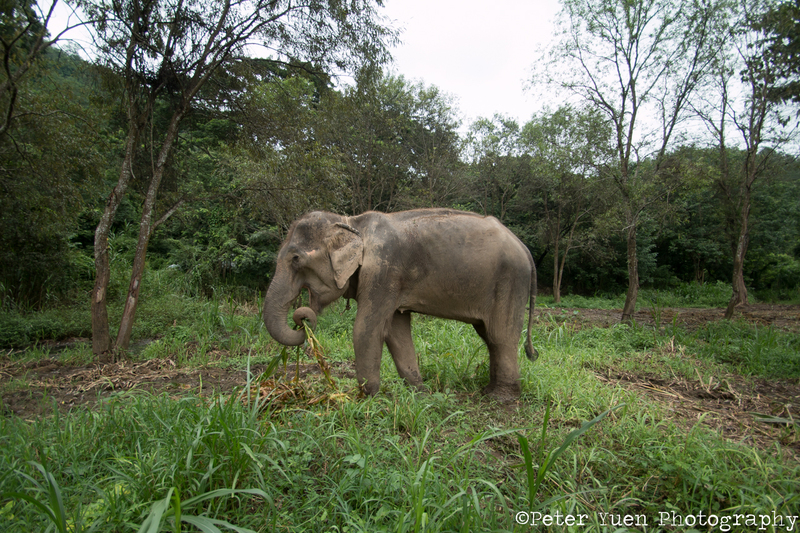 We were given no other option than to turn back, with Permpoon already loaded in to the truck and return her to the camp. The reason? The official wanted to “double check” all her papers. Trusted friends and faithful supporters, I can now reveal that the officials were being bribed by another facility that did not want BLES to rescue Permpoon. We will not share the identity of this organisation, as we have much more integrity than that. But, we do know who it was and we want to express how deeply upsetting it has been. 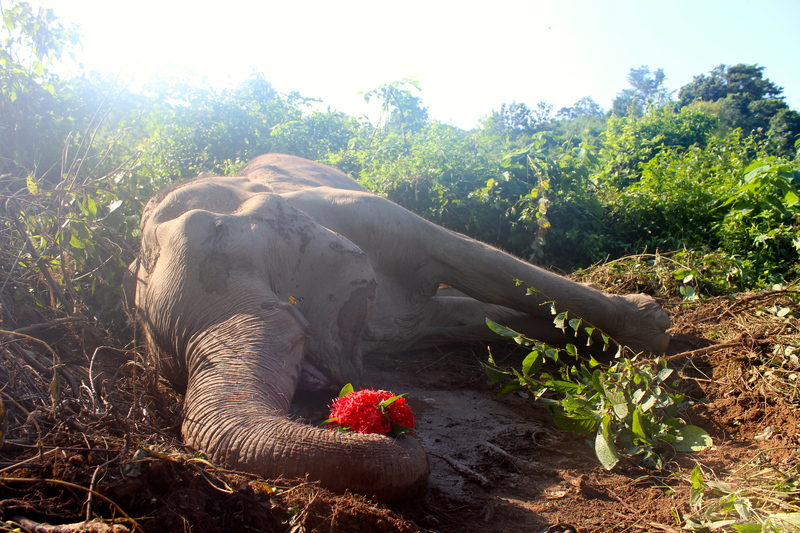 Not just to us, but to all of you, who donated in good faith towards the urgent rescue of this delicate elephant – who really, at the end of the day, was the biggest victim in all of this unnecessary bureaucracy and pointless drama. On top of dealing with the stresses these complications have entailed, there has been an individual spreading hateful lies around the internet about me, my family, my staff and my life’s work – BLES. These fabrications have been near soul destroying for my family and I… This person has tried to smear their evil, made up notions all over the internet, contacting BLES supporters privately and trying to shock them in to withdrawing their faith in our work. This person has also posted publicly. 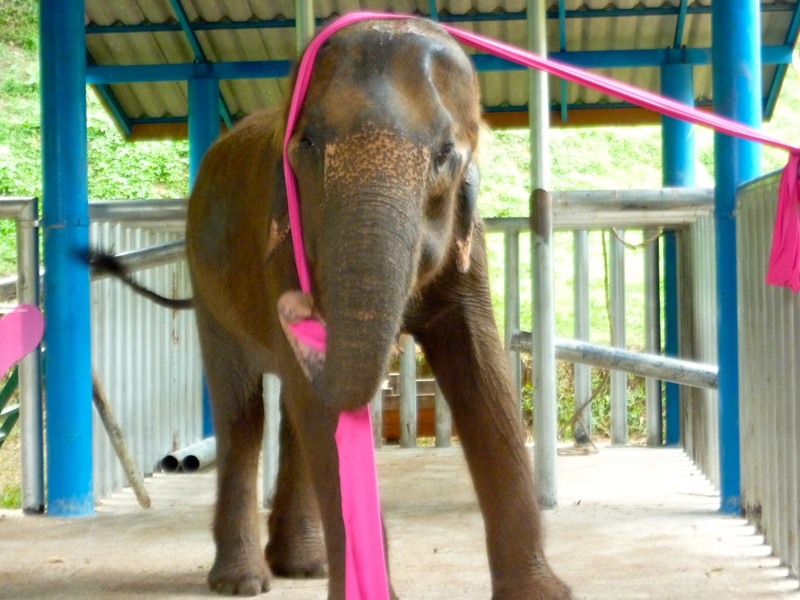 Most recently stating that we have not rescued the real Permpoon – we did an elephant swap!!! This person’s poison has included accusations of the most personal things you can imagine. They have threatened to slander our name in the British tabloids and have even hinted at interfering with my visa status here in Thailand. The allegations are unfounded and untrue and we are amazed at how this person has twisted every word and shamelessly slandered BLES and everything we represent. How can we even begin to comprehend such nastiness? We think this person started getting frustrated with the hold ups surrounding Permpoon and decided to voice their upset in the most distasteful manner imaginable. We also believe this person was involved with the organisation who was bribing the officials against us and that they were feeding this person’s overactive imagination with falsified information. It has been a highly disturbing and difficult time and having to put up with this harassment has been utterly draining. However, we have been so inspired by the love and support we have received from the people this person has contacted. Thankfully, as the allegations this person has thrown out have been so laughable, it has brought BLES and our dedicated supporters even closer than before and we are now stronger than ever. BLES stands united in our passion for a loving world and believe we are all interconnected: When you deliberately hurt another person with such rage and compulsion, you are in turn hurting the animals. Luckily, we are made of strong stuff and I, for one, will not let this person’s tantrums and negativity trouble me any longer. As I sit here working on this blog, I smile and think of the wise words from Mahatma Ghandi, “I will not let your anger consume me”. I have already learnt so much from Permpoon. She has taught us the true meaning of perserverence and patience. 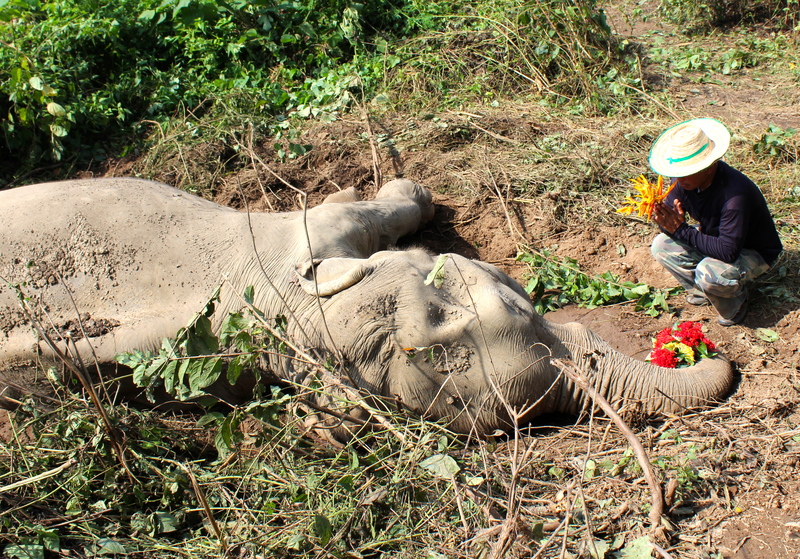 Many people thought we would walk away from her rescue, but we remained focussed and determined. We refused to let corruption win and stayed true to our morals. It may have taken us a long time to bring Permpoon home to BLES, but despite the fact we had so much working against us, we did it!!! I can not thank you enough for all your messages of faith, love and hope. We would never have been able to reach out and rescue Permpoon without your unconditional support and I want to congratulate each and every one of you – Patience is a form of action and is the acceptance that things can happen in a different order from the one you had in mind. Permpoon is now and forever safe in our loving arms. It may have taken longer than predicted to get her here, but none of that matters anymore. All that is important is the here and now and the fact that Permpoon is forever safe. Thank you for making her rescue possible! This is so hard to write… How can I possibly compose a blog entry, when I am struggling to compose myself?? I went to Naamfon and knelt in front of her. She locked her gaze on me and lifted her head as much as she could off the ground reaching out to me with her trunk. I took her trunk in my hands and squeezed her tight. Her breathing was very laboured and I could tell she was trying to stand. 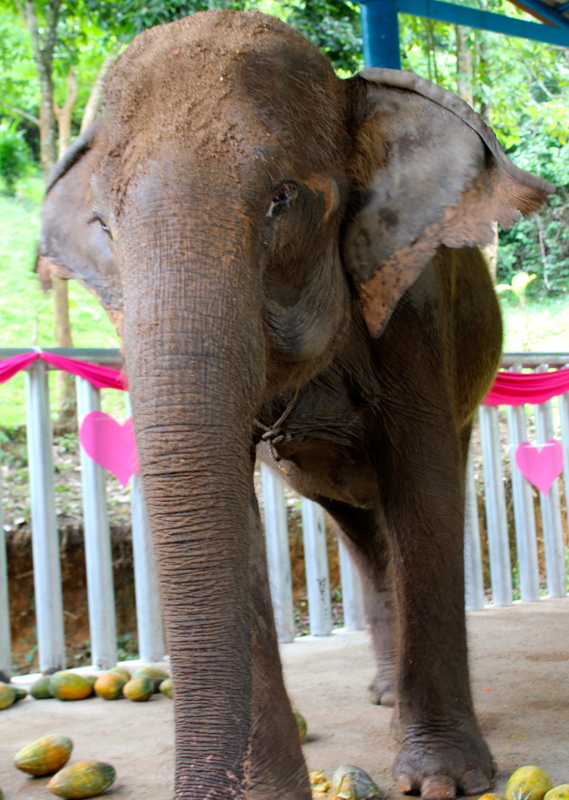 I kept hold of her trunk and noticed she was gently squeezing my hands. 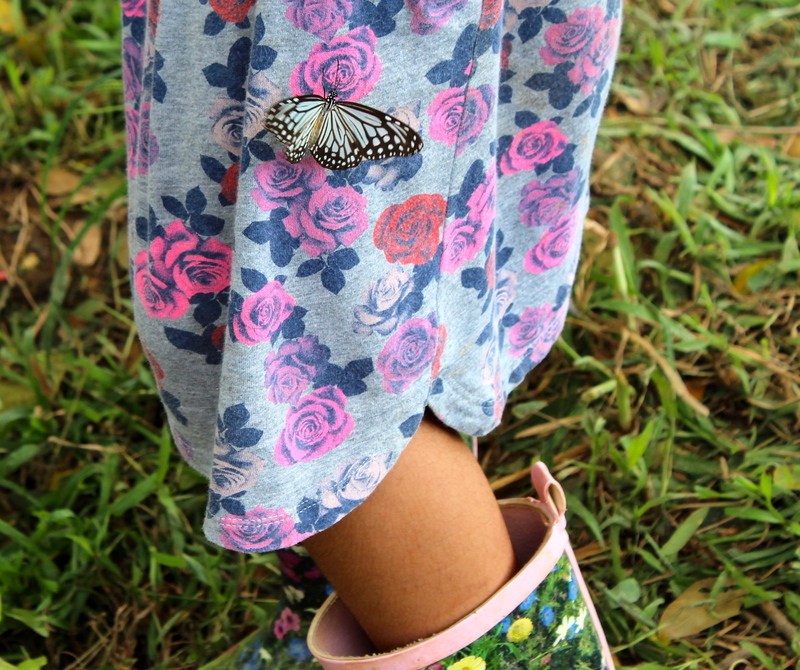 Her eyes were still locked on me and as I whispered to her, telling her over and over how much we loved her, I noticed a bright yellow butterfly settle on her cheek. I tried so hard to stay strong for Naamfon, but I knew what was happening and could not stop the tears from falling. 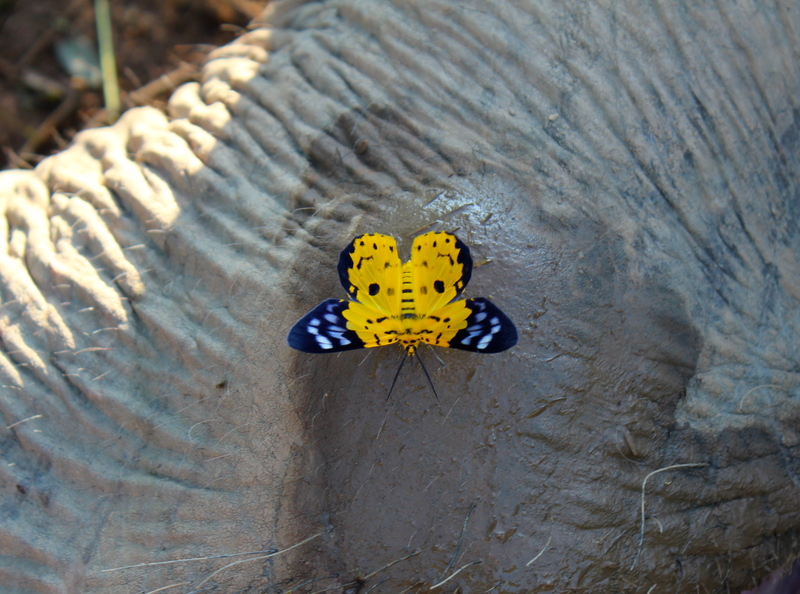 The butterfly fluttered up towards Naamfon’s shoulder and I realised Naamfon no longer had a tight grip on my hands. I looked down at her trunk and my hands holding on to each other. 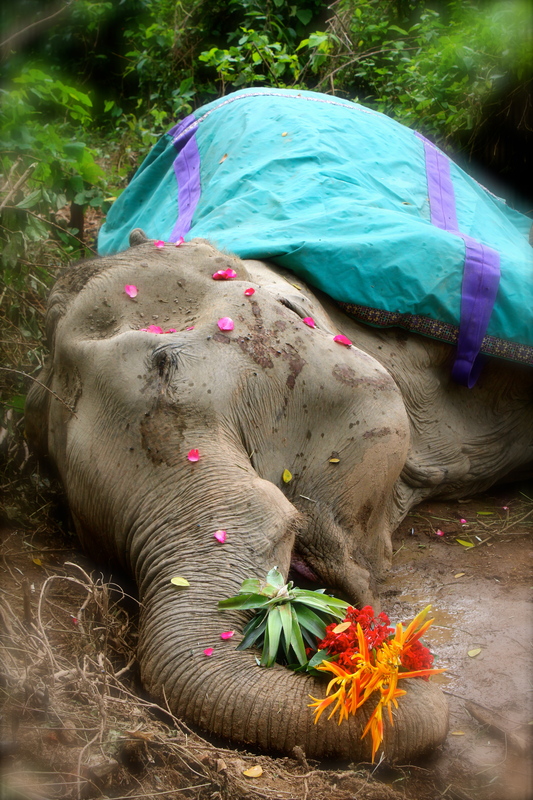 My tears had made small puddles in the deep crevices of her beautiful trunk. I squeezed her as tight as I could and begged her not to go, but it I knew it was too late. As I lifted my head and looked in to her eyes, I saw a tear roll down her face. After more than sixty years of being enslaved by humans, Naamfon was finally free of this world. After what felt like many long hours, the mahouts arrived. They rushed to help, but as they got closer, they could see it was too late. They gathered and stood in silence. It was incredible to sit there and feel the respect and love radiate from them, to her. 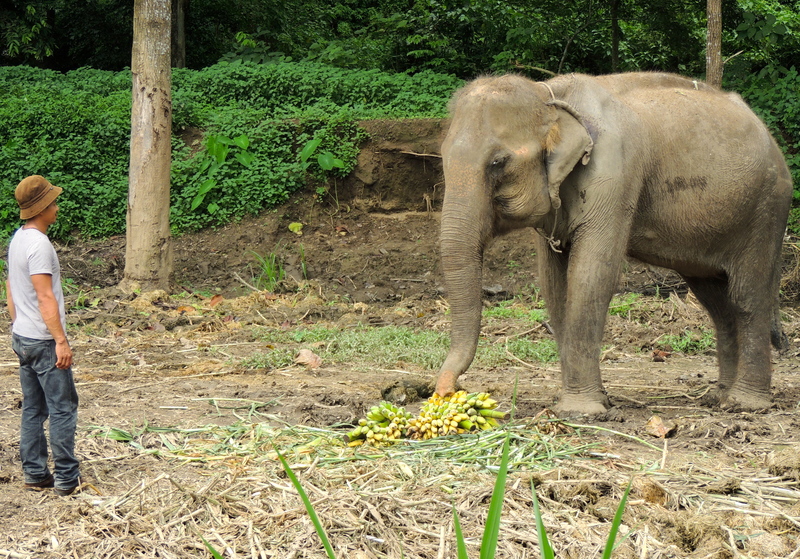 Naamfon’s mahout, Phi Duery, stepped closer. I looked up at him and smiled, thanking him for ensuring the last eleven and a half months of her life were filled with care, love and understanding. He couldn’t speak. I could see he was shaking and decided to step back and allow him the time and privacy he needed to say whatever he wanted to say to her. 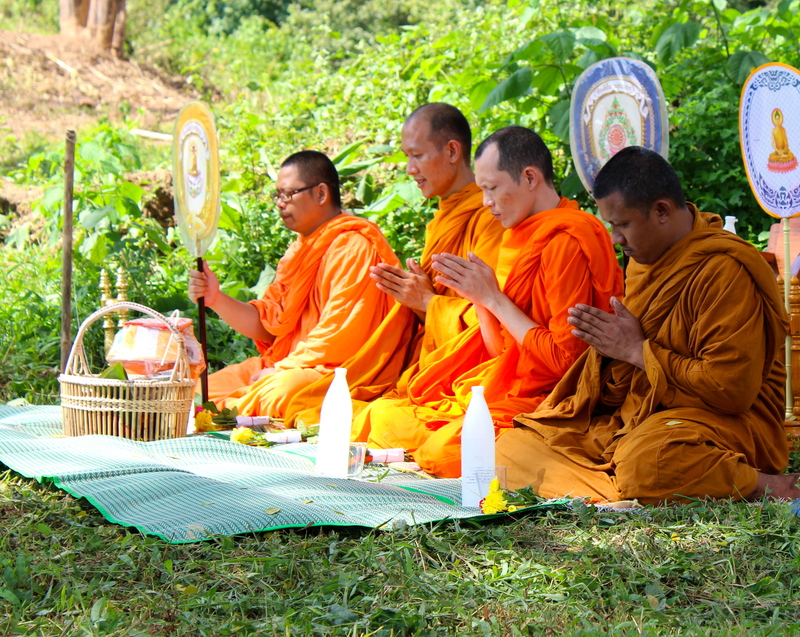 Four monks from the local temple came and blessed Naamfon. As they chanted, I looked around at the mahouts, the housekeepers, my guests, my children and I felt an overwhelming sense of pride and gratefulness. We are a small group of people and we work together, every single day to better the wellbeing of all the animals in our care. It’s not an easy life and the highs and lows can be debilitating. But we continue on, supporting each other and loving each other as if we are family. 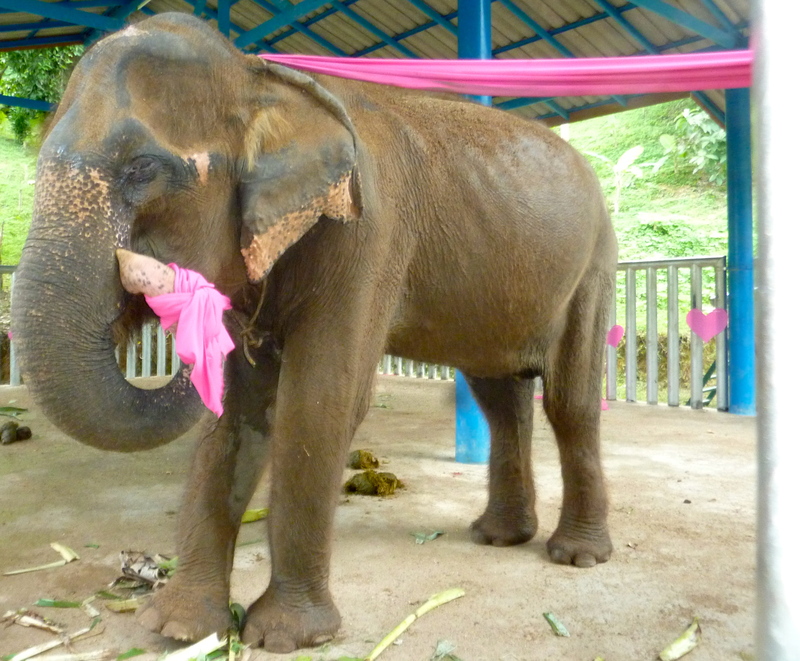 Our elephants are just as much a part of our family and even though Naamfon’s time with us was brief, I know she knew how very loved and admired she was by us all. 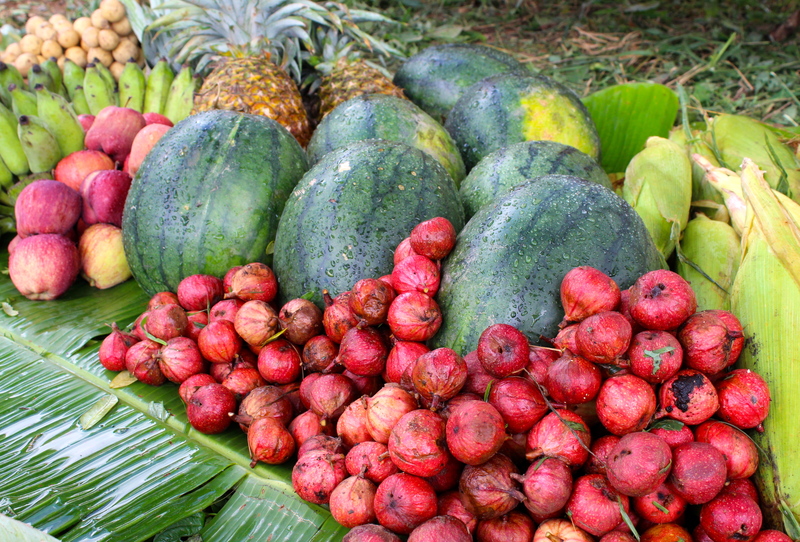 We had gathered a pile of all of Naamfon’s favourite treats, from pineapples, to longons. 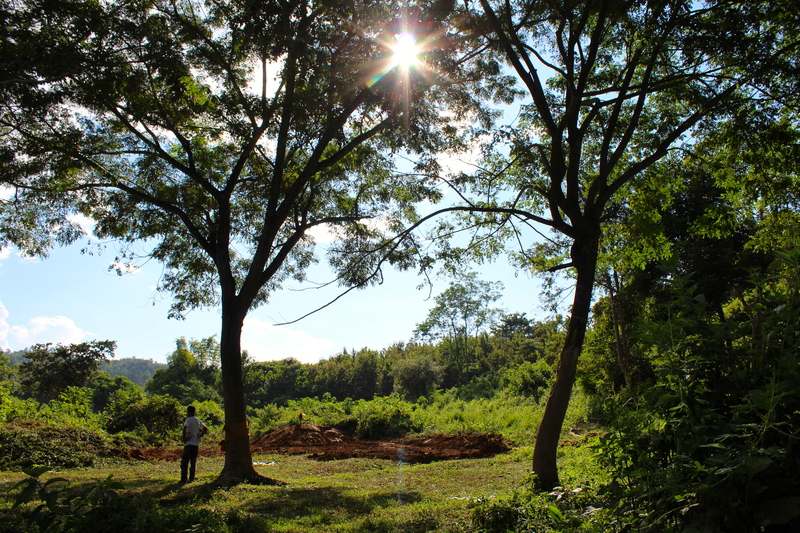 I noticed a fig tree close by… Naamfon would stand under the fig trees for hours, hoovering up the sweet fruits that had fallen to the ground. I caught Phi Duery’s eye and he knew what I was thinking instantly. Without muttering a word, we both set to work, collecting as many of the figs as we could carry to complete the fruit offering. 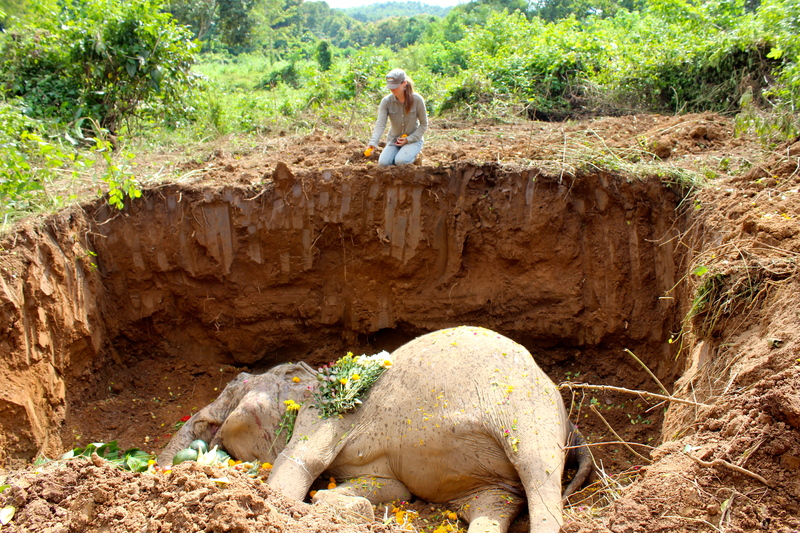 Naamfon’s body was carefully lifted and lowered in to the grave. 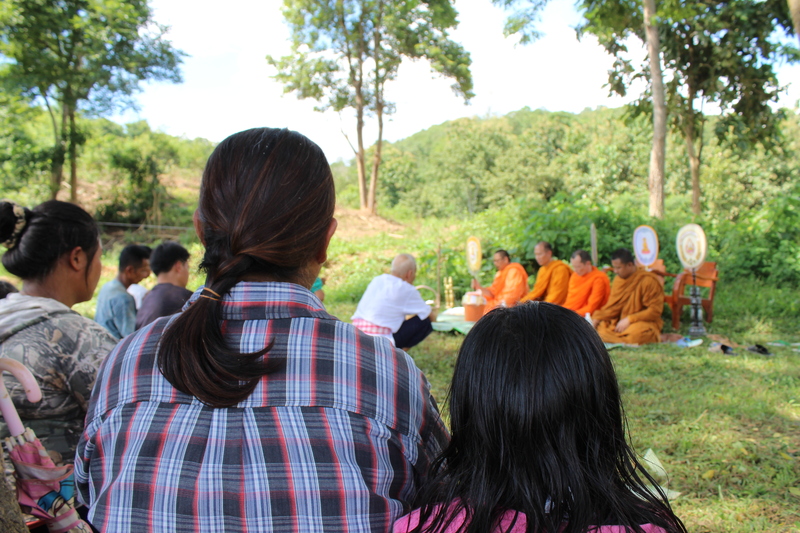 As we watched her slowly rise, the sun shining behind her, a light sprinkle of rain caressed us in our moments of grief, which was significant as Naamfon is Thai for rain water. Naamfon, I can not find the words to express just how deeply you have touched us. Be free you beautiful lady. Be happy and be you. 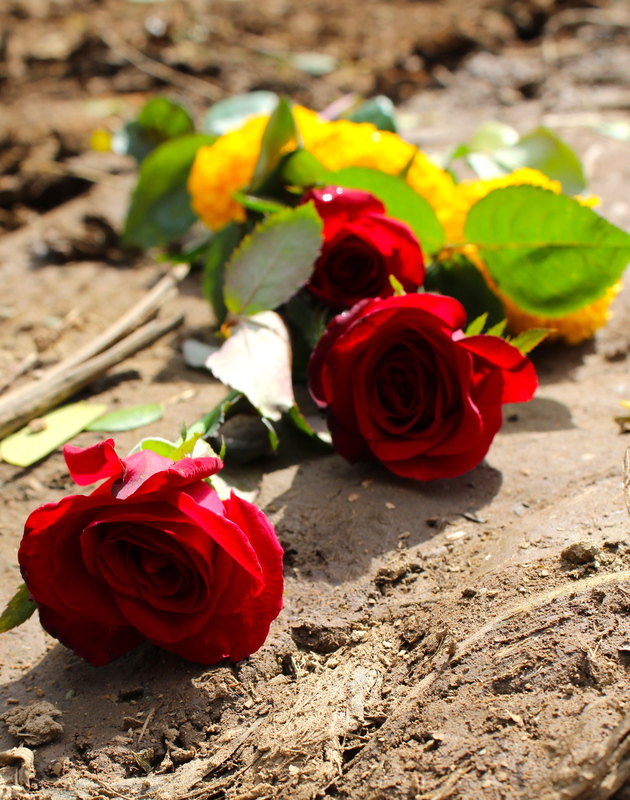 Walk and run in the long green grass, play in the muddy rivers and trumpet loud – you were loved and you will always be remembered.